US patent 5505799 looks like manual for 9/11 "explosive"
Two weeks ago a german fellow found this patent by accident in search for an online discussion with so called debunkers, originally by searching the temperature of thermite burning. I forwarded this patent to Prof. Harrit who did immediately respond and called it a good catch, and begged me I should write a blog entry about it. Also, Prof. Jones did respond immediately, too, with the multilayers working on his mind. Because this patent describes a three-layered “near” explosive material. showing a residue with two red-grey-layers and other layers as well. 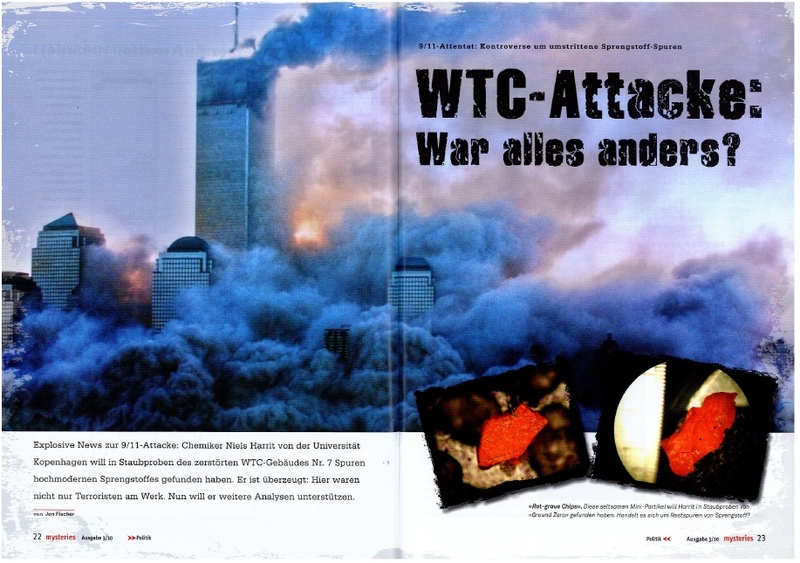 Cause of destruction of WTC discovered - opinion piece, example of effective activism. In an "opinion" piece published online and in print in News Chief, a newspaper from Winter Haven, FL, a citizen reports on the Nano thermite story. Even though it's not an opinion, after all, a peer reviewed paper was published, many people seeing this for the first time might shrug it off, but eventually they might start asking, "Why haven't I seen this story on CNN?". This story made it to the top of News Chief's most read list of stories. Dr. Yuan T. Lee is a 1986 Chemistry Nobel Laureate. After his public lecture, we briefly explained the findings of the "Active Thermitic Material Discovered in Dust from the World Trade Center Catastrophe" peer-reviewed paper and politely asked him to review it. Questions to Niels Harrit concerning the study "Active Thermitic Material Discovered in Dust from the 9/11 World Trade Center Catastrophe". Some time ago, gulli.com featured the news about the work of a team of independent scientists from Denmark, USA and Australia. 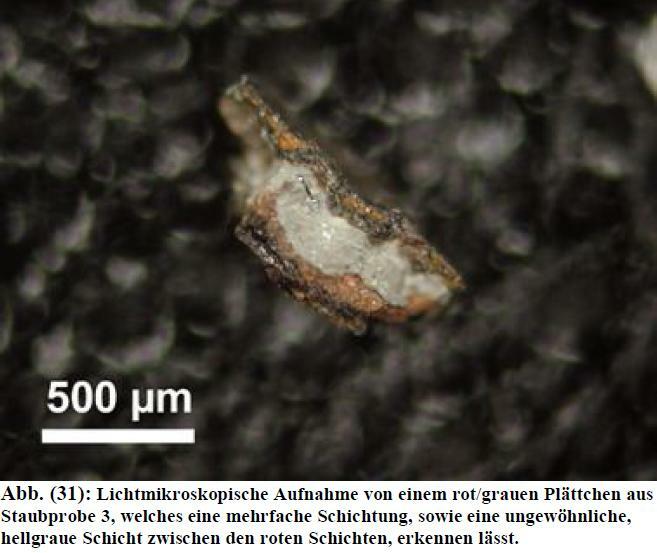 They claim to have found a substance called Nano Thermite in the dust of the World Trade Center attacks of September 11, 2001 in New York City. Nano Thermite is an explosive, normally only used by the military, not available on the normal market. It is a relative to thermite, a substance used for welding.